The BEST example of role play corner imaginable: Eureka! While researching about role play corners for my Professional Graduate Diploma in Education for Primary School Teaching at the University of Strathclyde, Glasgow, I remembered the best example of a role play corner imaginable: Eureka! As a child in the early and late 90's, I would travel from Preston to Eureka with my family as often as my parents could afford. 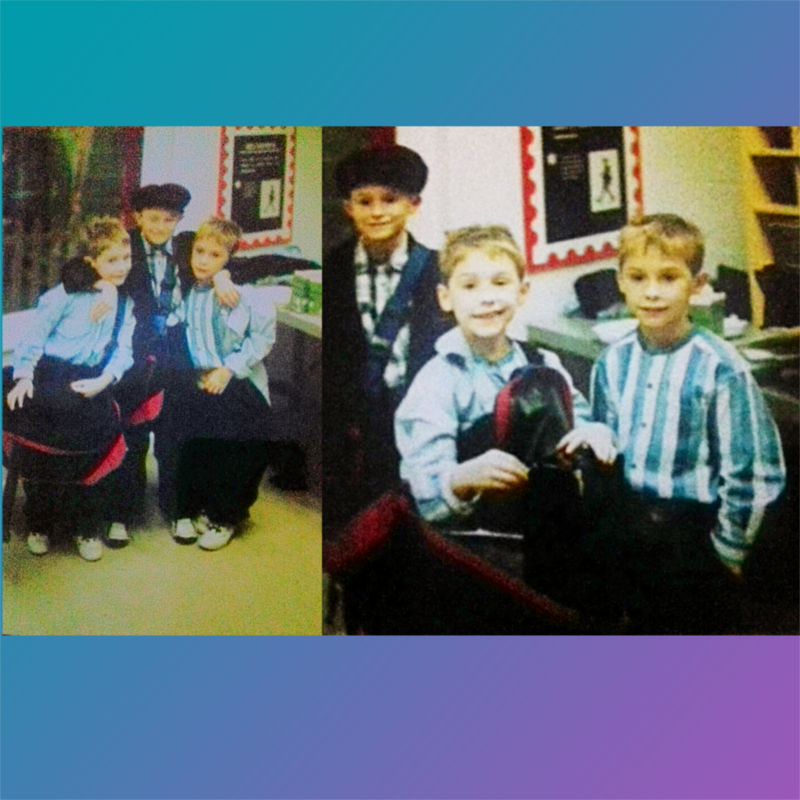 My brothers and I loved the museum, but our most joyous times came from the town square area. This was the site for some of my happiest childhood memories. I remember playing the role of the mechanic in the garage and putting a new tyre on someone's car. I can recall walking around the shops and choosing my fruit and veg to take to the till. My brothers and I once hosted the evening news as: news anchor, weatherman, on location reporter and cameraman. Also running a house, delivering post (that's me in the postie's cap in the pic) and so much more. Thank you Eureka for all the happy memories, I look forward to bringing my own children sometime soon.